The mansion, built in Georgian 1722, to be the home of the Widdringtons. They were an influential landowning family associated with Northumberland right back to the 12th Century. Other families interwoven with the history of Newton Hall were the Cooks and the Herons. Royal Navy captain Samuel Edward Cook, who was born in 1787 and was decorated by the King of Portugal, lived at the hall. He married Dorothy, the daughter of Alexander Davison, a close friend and prize agent to Admiral Lord Nelson. The hall was enlarged and remodelled in 1864. Elaborate plaster ceilings were installed by Giovanni Montiroli and his Italian team, who were brought to the North East by the Duke of Northumberland. Shalcross Widdrington was a keen artist and painted murals of London Bridge and Venice which are a feature of the entrance hall. A pair of stone lions in the garden are rumoured to have formed part of the Court of Lions in the Moorish Palace of the Alhambra in Spain, and were brought to Britain in 1829. A number of buildings have been added to the hall. This is where my bride got ready. The hall was put up for sale in 2010 and it's contents auctioned off. 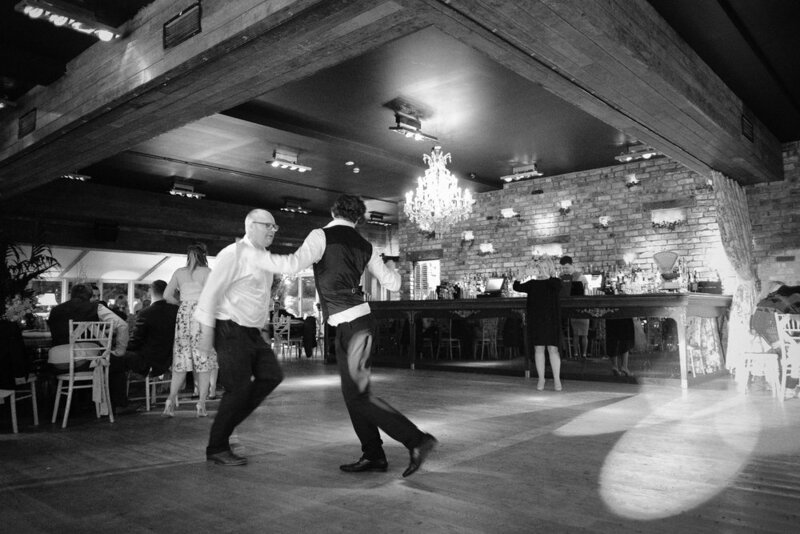 Bought for close to £3m by the Apartment Group who also own popular venues As You Like It and Le Petit Chateau, the team are experts in memorable, individual weddings and offer outstanding service and impeccable style. 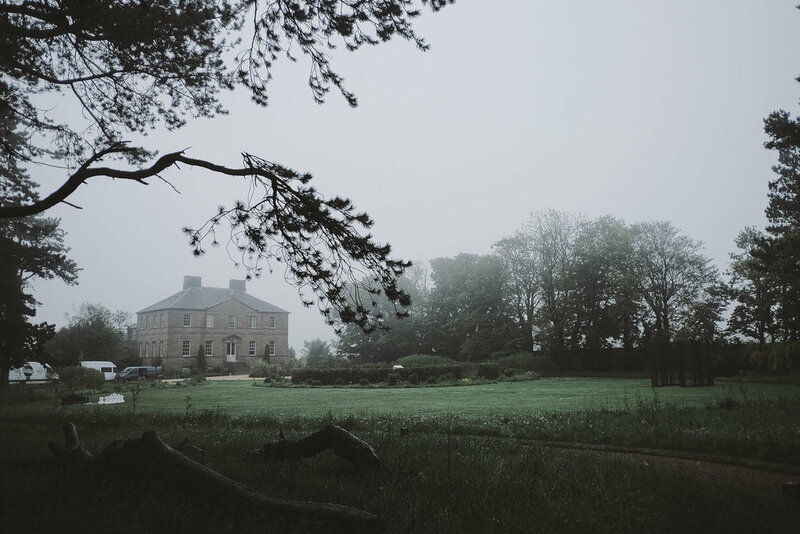 Newton Hall was named ‘Best UK Coastal Venue’ at the UK Wedding Awards. The win followed hot on the heels of a trio of regional triumphs, including ‘Best North East Countryside Wedding Venue of the Year” at The Wedding Industry Awards, ‘Best Wedding Venue’ at the North of England Wedding Awards and ‘Best North East Venue’ at the Bridal Book Awards. Newton Hall boasts a range of unique event spaces, including the Old Hall, Glass House and Garden Suite. They even own the Joiners Arms, a village pub and inn that’s just a few minutes walk away. The boutique hotel provides 5-star accommodation in 21 individually designed bedrooms and suites themed with four poster beds, private roof terraces, roll top baths and gardens. The Joiners Arms also has an additional five suites that are available to wedding guests which are often used for groom and groomsmen prep. Indoors you can choose from the Garden Suite and Grand Luxury Wedding Terrace – built on the footings of the Hall’s original orangery; the Old Hall – the heart of the estate with historic splendour and bold interior; or the Glass House – a beautiful, well lit, and romantic environment for an indoor ceremony with gorgeous country views. Outdoors there is the 5-Star Wedding Terrace – with fireplace and retractable roof, this is a beautiful setting for the ceremony or reception, with barbecue or hog roast dining options, where you can enjoy the sunset on a warm summers evening; and of course the Beach – get married on the golden sands of Northumberland; or even Wedding Hill – a fantastic setting on a tranquil wedding hill with amazing views and a countryside vibe. 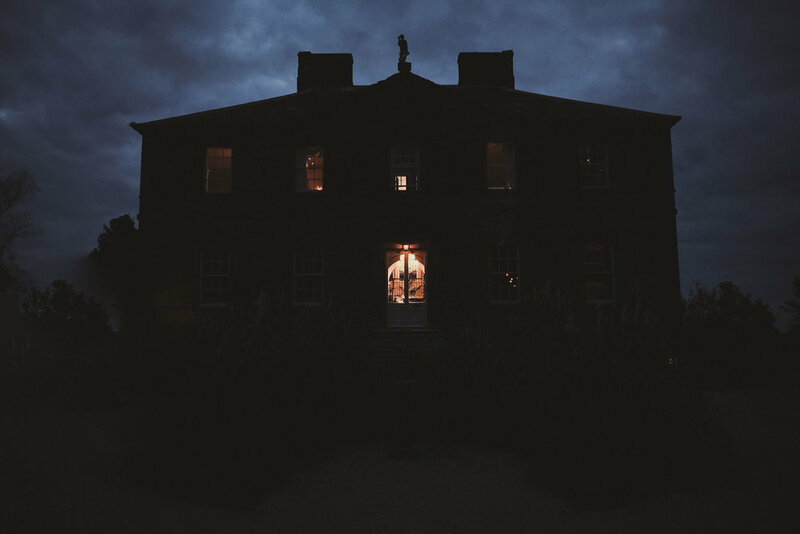 Newton Hall tries hard to help make weddings individual to each couple and encourage brides and grooms to let their imaginations run riot. It helps that couples have exclusive use of the Hall over their wedding weekend, so they won't be bumping into other weddings or hotel guests. There are 11 pricing levels offering options for every budget, plus all-inclusive packages from as starting at £2,800. 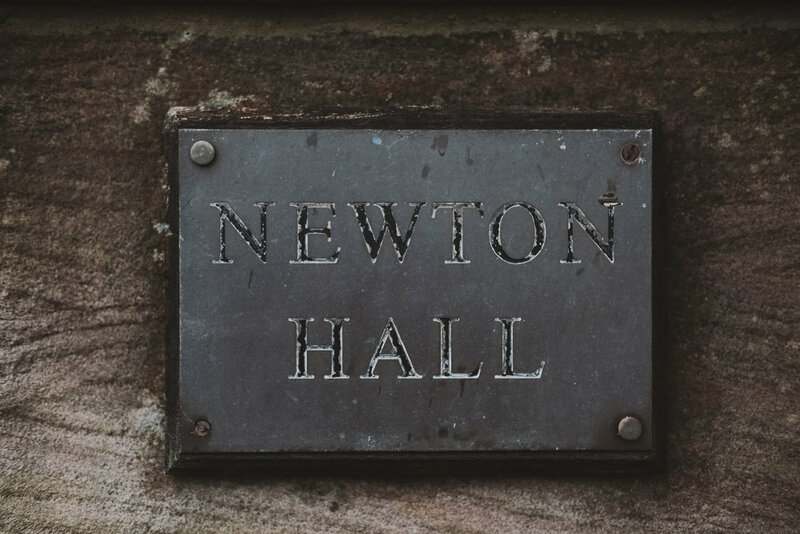 Newton Hall offers just about every conceivable option for wedding photography, other than being in the centre of a busy city. The Hall itself is grand, with marble fireplaces, a grand staircase, high ceilings with ornate plaster, and quirky styling. Even if it rained heavily for your entire wedding, and you couldn't venture out at all, you'd still get lovely wedding photographs. The grounds are deceptively small, but perfectly adequate for group and bride and groom portraits. The grounds overlook countryside, so with the adjacent farmland in the background the photos will look like you are in the middle of nowhere. If you are brave enough to venture offsite the beach is just a few minutes drive away (it's too far to walk). Like most of the Northumberland coast it's largely unspoilt and quite quiet, with only the odd dog walker or sightseer to look on. Newton Hall is a fun, quirky alternative to the traditional country home wedding venue. Suits a wide range of weddings - outdoorsy country types, boho beach brides and swanky, design conscious couples. You can have your whole wedding day in one location. From bride and groom prep, through the ceremony into your evening reception and then you and your guests can stay the night. Newton Hall is about an hour's drive from Newcastle and is a little remote, a few miles off the A1. Winter weddings could be tricky to get to on icy or snow laden roads. Newton Hall book a lot of weddings. You will need to pursue your own theme and ideas to make you wedding unique here. Here are a further selection of photographs from Tanya and Craig's wedding day to show what Newton Hall has to offer. The day started off cold and damp but improved remarkably! If you'd like to see more reviews of wedding venues in Northumberland, along with some real weddings and engagement sessions, take a look at my Northumberland weddings page.